Custom printed dry erase vinyl. 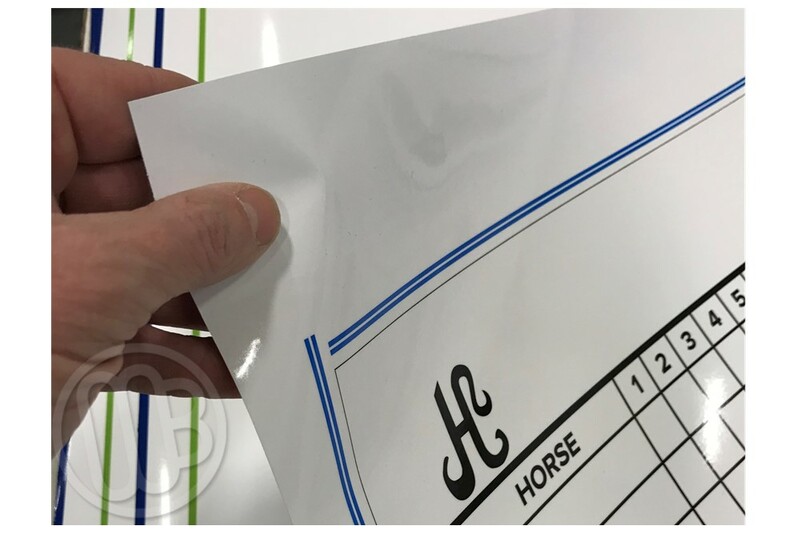 Custom printed peel and stick, self-adhesive vinyl with our exclusive clear dry erase writing surface. 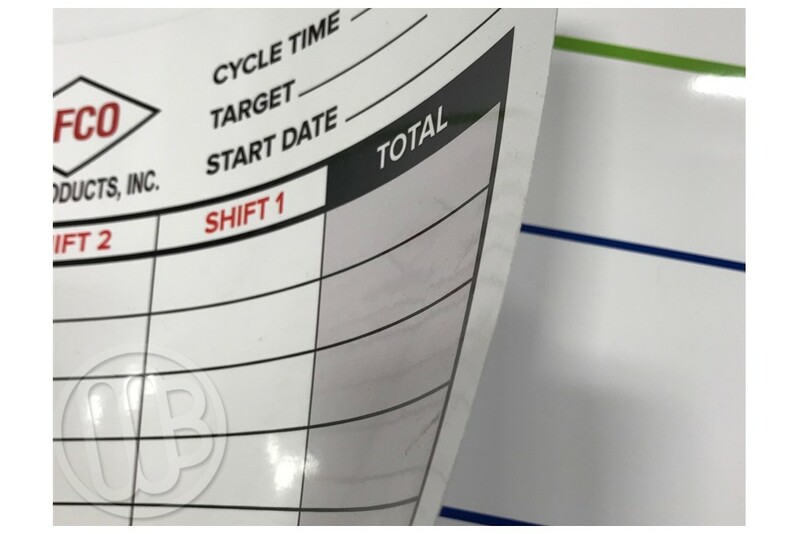 This is a very similar product to the OptiPrint® dry erase vinyl that we use to create our framed custom printed magnetic and printed non-magnetic dry boards. 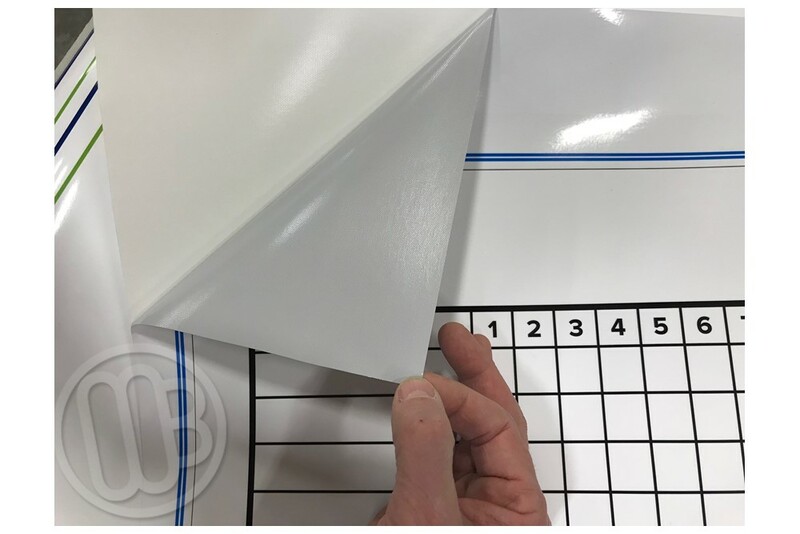 These are the printed dry erase vinyls only without any type of substrate, frame or marker tray. 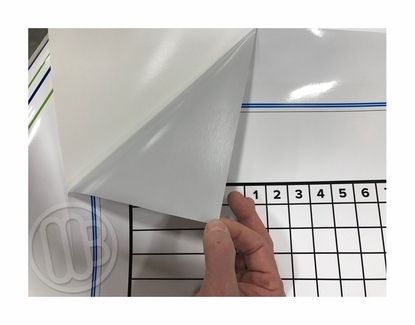 They can be used to resurface an existing dry erase board or they can be permanently mounted onto any smooth flat surface and used as a custom dry erase board. 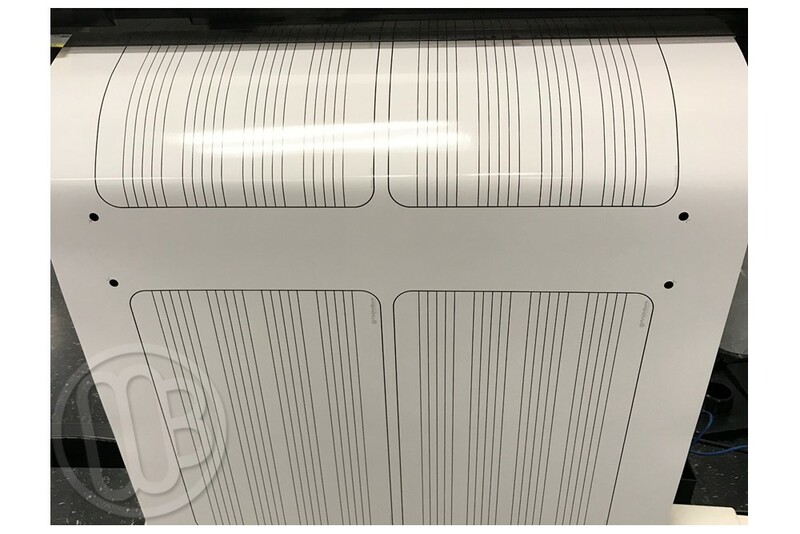 Semi-permanent adhesive: Each vinyl print has a simple peel-and-stick self adhesive backing with a semi-permanent adhesive. 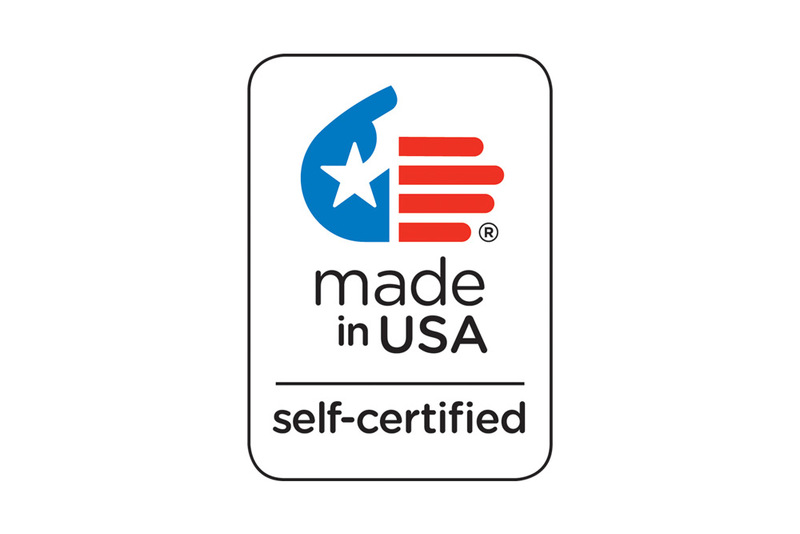 The longer the print remains adhered to the surface the longer the adhesive will have a chance to set up and bond stronger and stronger. 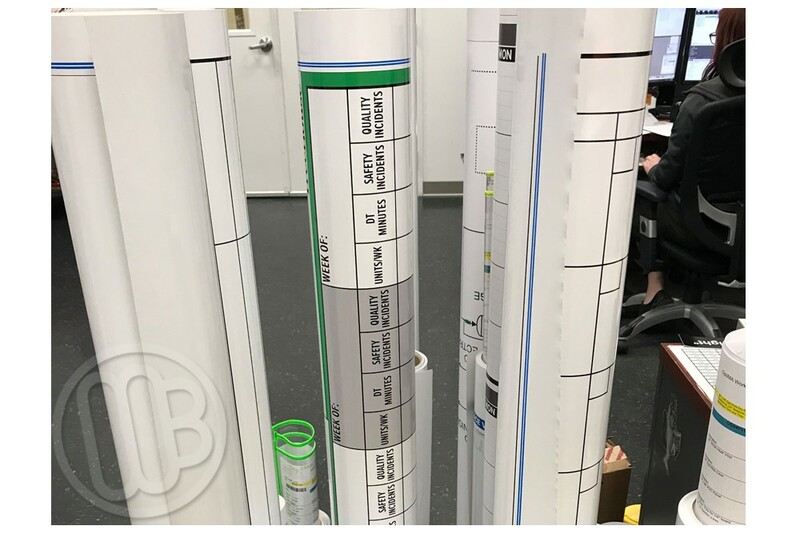 For this reason we do not recommend applying these printed dry erase vinyls directly onto any wall since over time they will become very difficult to remove without damaging the surface. Application: For the best results using a wet application method with a proper sign squeegee is preferred. Larger prints may require a hinge application. Support the print carefully at all times while handling so that you don't create any creases as they may be difficult if not impossible to get out. When these Custom Vinyl Dry Erase Sheets came in I was very Impressed with the outcome. They looked Fantastic. Much better than I expected. The 4'x4', 3'x4' and the 2'x3' were all beyond Expectations. Please process was great. Very good interaction with customer service. Very nice product.